The service having id "twitter" is missing, reactivate its module or save again the list of services. The service having id "facebook" is missing, reactivate its module or save again the list of services. The service having id "linkedin" is missing, reactivate its module or save again the list of services. QCon SF 2016, Nov 7-11!!! In this talk, Yongsheng from Pinterest is going to talk about how to build highly-resilient systems at scale. His talk will cover 5 highly fault-tolerant, battle-tested systems: dynamic service discovery, real-time configuration management, caching, persistent storage, and event processing pipeline. He will also cover failure cases that prompted engineers at Pinterest to build such systems, and how they actually test these systems to make sure that they can gracefully handle those failure scenarios. 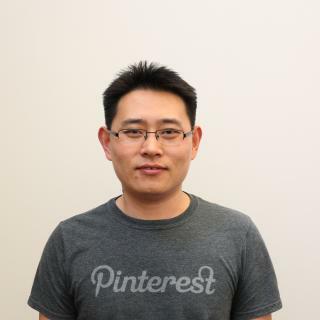 Yongsheng is an early engineer on infrastructure team at Pinterest, where he helped in making the system available, scalable, reliable, and performant. He is currently leading the storage&caching team; previously he led the effort in making it easy to use, build and run services at Pinterest. Before Pinterest, Yongsheng worked on core storage and serving systems for users, tweets and social graph at Twitter; and on CRM, chatter, and platform as a service at Salesforce. How to start using machine learning and data science in your environment today. Latest and greatest best practices. Exciting new standards like Service Workers, Push Notifications, and WebRTC are making the browser a formidable platform. Level up your approach to problem solving and leave everything better than you found it. Build resilient, reactive systems one service at a time. Your system will fail. Take control before it takes you with it. Real-time insights at Cloud Scale & the technologies that make them happen! Modern, lean Java. Focuses on topics that push Java beyond how you currently think about it.